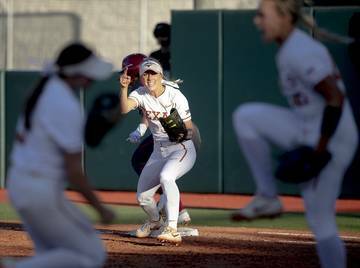 Texas softball’s regular season comes to an end Sunday when the Longhorns and 17th-ranked Baylor conclude their three-game series at McCombs Field. 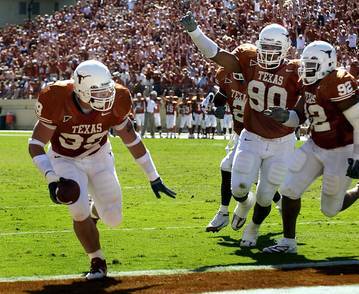 Texas is 28-16 all-time against the Bears and hasn’t lost to Baylor at McCombs Field since May 15, 2011. As a matter of fact, both teams protect their home turf rather well in this series; The Bears have won four of the last five games at Getteman Stadium in Waco while the Longhorns have won each of the last five at McCombs. 2013: Kim Bruins. Bruins, a senior from California, took the first pitch from Baylor’s Whitney Canion in the bottom of the ninth and sent it flying over the head of the Bears’ right fielder, plating fellow senior Taylor Hoagland for the game-winning run. Bruins was 2 for 4 and Hoagland went 3 for 3 with two runs scores. Another senior, Blaire Luna, pitched all nine innings for her 24th complete game of the season. 2014: Taylor Thom. Texas’ 3-2 storybook ending was Taylor-made. Thom, a senior and UT’s all-time RBIs leader, ripped a double into right-center to bring home fellow senior Brejae Washington for the game-winning run in the bottom of the seventh. All four of UT’s seniors, including Mandy Ogle and Karina Scott, had hits. Thom was 2 for 4 and capped her final regular season with 42 RBIs. She finished her career with 178, breaking Lexy Bennett’s old school record. 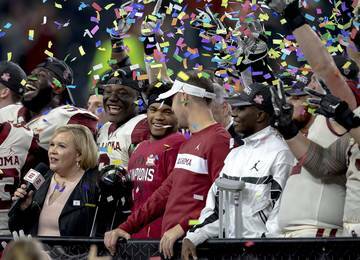 “I couldn’t have scripted it any better,” Texas coach Connie Clark said after the game. 2015: Gabby Smith. Smith homered for the second straight game, going 2 for 3 in Texas’ 5-0 win. The senior scored two runs and had a double, the home run and three RBIs. 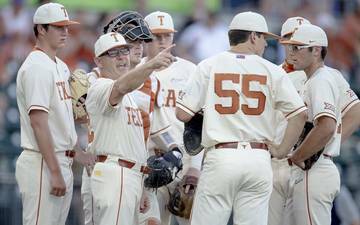 The game was never in question after the Longhorns put up three runs in the second inning. Senior Marlee Gabaldon singled with two outs, then Smith blasted a double to the center field wall to score Rachel Scott who was pinch-running for Gabaldon. Smith’s two-run homer in the fourth was more of an insurance run for then-freshman Erica Wright, who pitched a complete-game shutout. Texas will say goodbye to seven seniors on Sunday; will Stephanie Wong, Tiarra Davis, Devon Tunning, Mickenzi Krpec, Taylor McAllister, Celina Felix or Kelli Hanzel end up playing the role of hero? Let’s play in some dirt. Four straight shutouts: Since losing the series to Iowa State, Texas’ pitching staff has put together quite the streak. The Longhorns have notched four straight shutouts. Erica Wright and Brooke Bolinger combined for one in a 6-0 win over North Texas. And Wright pitched a one-hit shutout in a 10-0 five-inning win over Kansas in the first game of the series. Davis pitched a shutout in a 2-0 win over Kansas in the second game of the series. And in Wednesday’s 3-0 win over Texas A&M-Corpus Christi, Wright, Kristen Clark, Paige von Sprecken and Bolinger combined for the shutout. Bolinger picked up the win; Clark has pitched 8 2/3 innings without giving up a run. Randel Leahy’s first homer: Remember when I said that Leahy was a big part of Clark’s puzzle? In the junior’s last eight games, she’s 11 for 23 (a .478 average) with five runs scored, a home run, nine RBIs and three doubles. Texas is 7-1 in that stretch of games. Winning streak: Texas enters this weekend with a four-game winning streak, the third four-game streak of the season. The Longhorns’ longest of the season is six, from Feb. 18-25. No. 21 Arizona State snapped that streak. Record against ranked opponents: It’s easy to look at Texas’ recent success and feel the Longhorns have turned the corner. But not so fast. Texas hasn’t played a ranked opponent in nearly a month (a series sweep by No. 11 Oklahoma at the beginning of April). Wins are nice, but Texas won’t be playing A&M-CC or North Texas in the NCAA tournament. 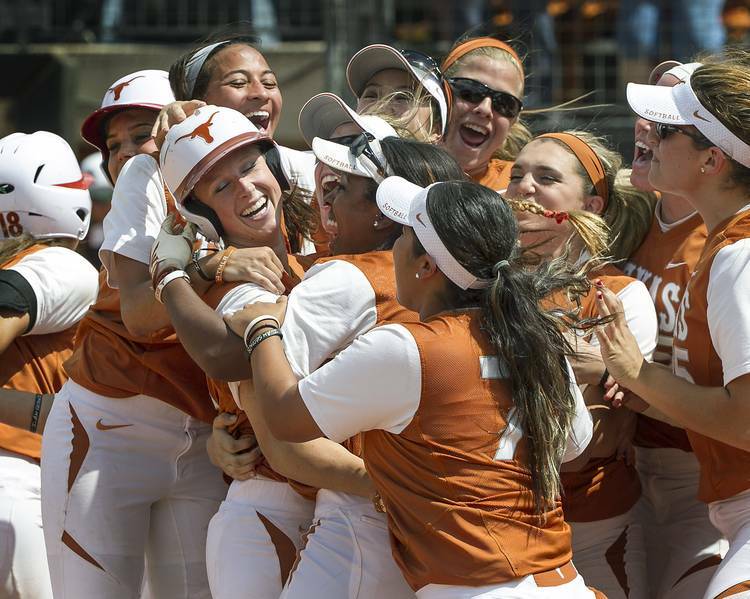 The Longhorns are 2-11 against ranked teams; Baylor is ranked 17th in the USA Today/NFCA coaches poll. 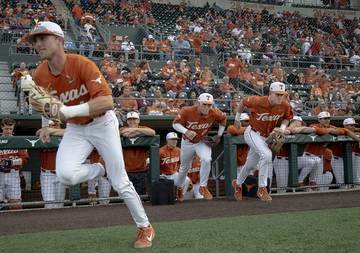 Postseason bubble: Texas remained at No. 34 in the latest Ratings Percentage Index rankings. 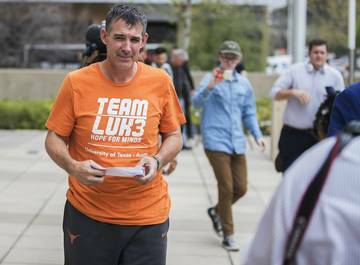 That’s good enough to get the Longhorns in the tournament, but they would be likely traveling to Los Angeles or College Station for their regional. But Texas cannot be swept by Baylor this weekend and then bail out early of next week’s Big 12 tournament. That would potentially keep the Longhorns out of the NCAA postseason. Lack of quality wins: Texas went 10-6 in April, making it the winningest month of the season. The combined record of April opponents was 215-173, though if you take out Oklahoma (45-8), that record isn’t as impressive at 170-165. Only three of Texas’ wins last month were against teams with a winning record. EXTRA BASES: Texas placed nine players on the Academic All-Big 12 team, which was released Thursday. Texas had seven first-team honorees in Davis, Hanzel, Krpec, Leahy, von Sprecken, Wong and Wright. Clark and Reagan Hathaway were on the second team. 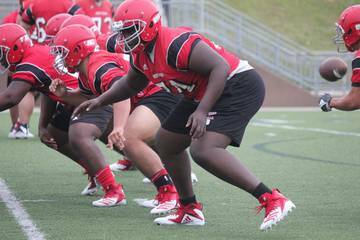 Players must maintain at least a 3.0 GPA for the two previous semesters and play in 60 percent of their team’s games. First-team members have maintained a 3.20 GPA or better; second-teamers must have a GPA between 3.00 and 3.19. Westlake’s Lauren McLeod leads UT Dallas to first ever ASC title: Former Westlake ace Lauren McLeod was named the American Southwest Conference tournament MVP after picking up her 18th win in the championship game. 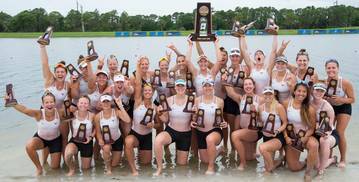 Her UT-Dallas Comets defeated the defending NCAA Division III national champions UT-Tyler, 7-5. McLeod (18-1) gave up one hit and struck out three. The Comets beat UT-Tyler twice. Samantha Halliburton hit a walk-off home run in Friday’s semifinal to send the Comets to the final. Randi Rupp picks up her 900th career strikeout: In less than a month, Texas State junior pitcher Randi Rupp picked up her 800th and 900th career strikeouts. Rupp also earned her fourth Sun Belt pitcher of the week honor on Monday. In the Bobcats’ (38-11) series finale with Troy, Rupp struck out 15. She joins Nicole Neuerburg, who holds the school record for most career strikeouts with 1,019, as the only pitchers in the program’s history with 900 or more career strikeouts. The fifth-ranked Aggies stumble: Kentucky, ranked 18th, handed A&M (41-7) its first SEC series loss of the season with a 7-4 win Sunday in Lexington. Kentucky beat up on starting pitcher Trinity Harrington, scoring three runs on four hits in the first inning. Samantha Show, who picked up her fourth loss, didn’t do much better and gave up three runs on three hits in four innings of work. A&M hosts No. 8 Tennessee this weekend in a three-game series to close out the regular season. Big 12 weekly awards: Oklahoma’s Paige Parker picked up her third straight pitcher of the week nod and infielder Shay Knighten was selected as the player of the week to complete the sweep for the Sooners of weekly honors. Parker hasn’t allowed any runs in her last 18 innings and improved to 17-5 in the circle with a win on Sunday. Knighten had four home runs in three games and had 10 RBIs, becoming the first Sooner since Shelby Pendly in April 2015 to hit at least four home runs in a three game stretch. BIG 12 POWER POLL: Oklahoma clinched its sixth straight Big 12 regular season title with a sweep of Texas Tech, accompanied with Baylor’s series win over Oklahoma State. The Bedlam series is this weekend, but it doesn’t really matter. The top three seeds are all but set for next week’s Big 12 tournament in Oklahoma City. 1 Oklahoma 45-8 (15-1) 1 at Oklahoma State (May 5); vs. Oklahoma State (May 6) The Sooners have wrapped up another Big 12 regular season title. 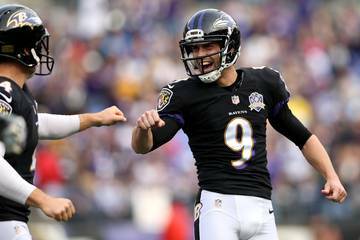 - their sixth straight. 2 Baylor 39-10 (11-4) 3 vs. Texas (May 5); at Texas (May 6-7) If Baylor wins two, or Oklahoma State is swept, the Bears will be No. 2 seed. 3 Oklahoma State 33-20 (12-4) 2 vs. Oklahoma (May 5); at. 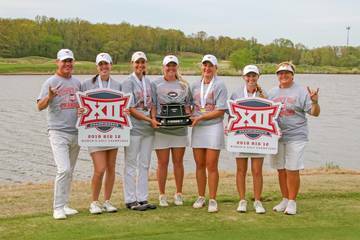 Oklahoma (May 6( The Cowgirls will likely finish third in the conference. 4 Texas 29-20 (6-8) 6 at Baylor (May 5); vs. Baylor (May 6-7) The Longhorns can't do any better than finishing fourth, their worst finish in the Big 12 since 2009. 5t Iowa State 20-32 (3-12) 5 vs. Kansas (May 5-7) The Big 12 is so bad this year, but Iowa State could finish out of last place for first time since 2011. 6t Kansas 24-25 (3-12) 4 at Iowa State (May 5-7) The Jayhawks are trying to avoid a last-place finish this weekend against Iowa State. 7 Texas Tech 17-31 (4-14) 7 vs. South Dakota/Colorado State (May 6-7) The Red Raiders will end their season on Sunday in non-conference action. That’s all the dust for this week, but I leave you with this social media win by Texas State softball. As always, swing for the fences.